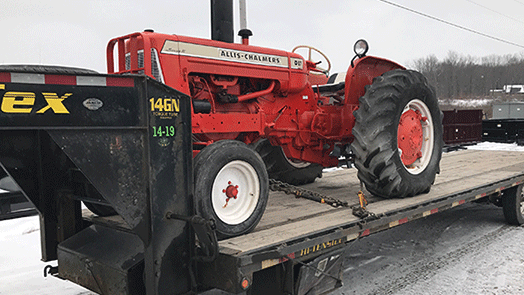 Tractor Transport Can Haul Your Irrigation Equipment in All 50 States! 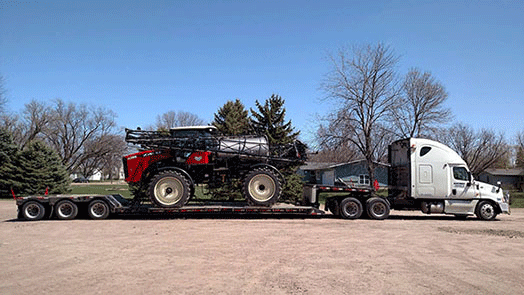 Talk to Tractor Transport to ship your irrigation equipment anywhere in the US, Canada or Mexico. Piping, Filters, Valves, Pumps, Power Units, Generators and more - depend upon us to ship your irrigation equipment where you want it, when you want it. Talk with one of the experienced logistics professionals at Tractor Transport today, (877) 373-0109. 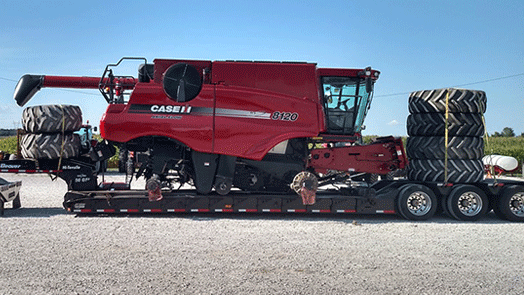 Choose Tractor Transport to Ship Your Irrigation Equipment! 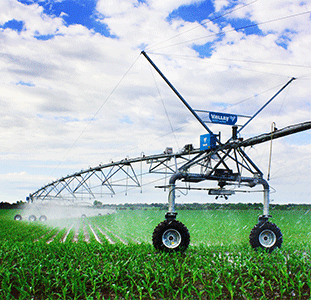 Irrigation Equipment is vital to keeping your crops provided with the water necessary to produce a bountiful harvest. There are several parts involved in getting water to your crops - power sources, water pumps, valves, filters, sprinklers & piping. All these pieces of irrigation equipment are necessary to keep your crops hydrated. There are times when there is enough rain to keep your crops properly hydrated but when there is no rain on the forcast farmers need to utilize irrigation equipment to get water to the fields. 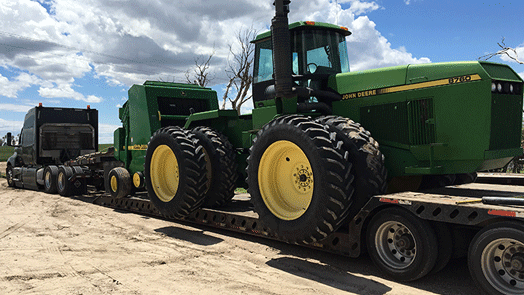 Tractor Transport can get your irrigation equipment safely & quickly to its new location! 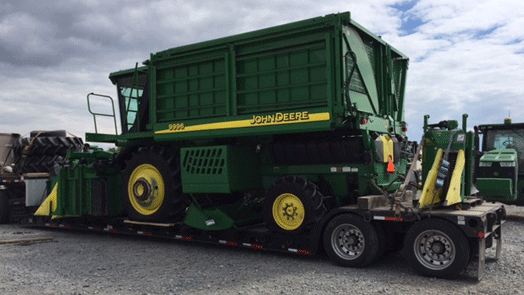 Choose Tractor Transport to ship your irrigation equipment. 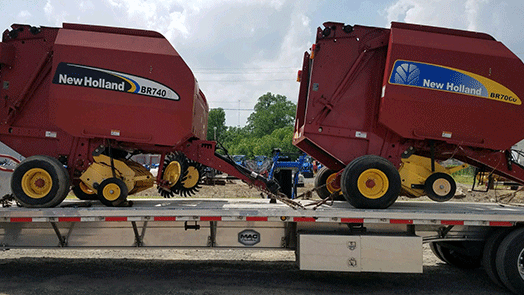 Since various parts of irrigation equipment comes in all shapes and sizes, you’ll need to decide which type of trailer your equipment requires. 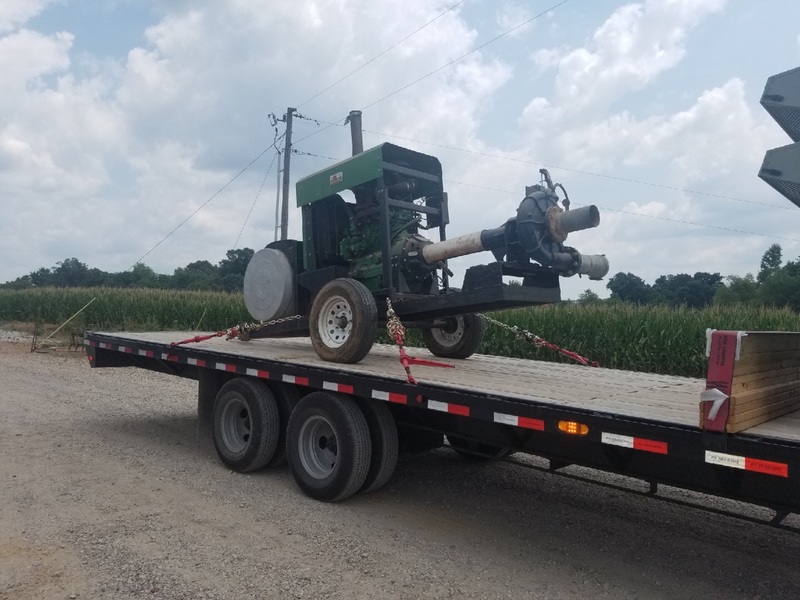 Smaller pieces of irrigation equipment can ship aboard a flatbed trailer, while larger parts (like piping and generators) will require a step-deck trailer or RGN trailer. 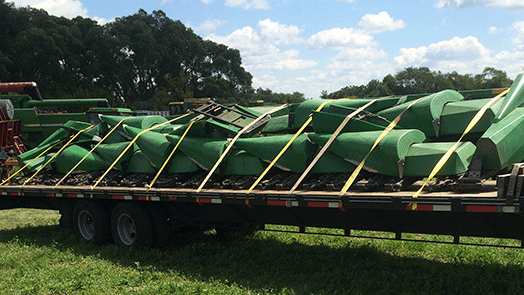 Sometimes you can ship multiple pieces of irrigation equipment on the same trailer. 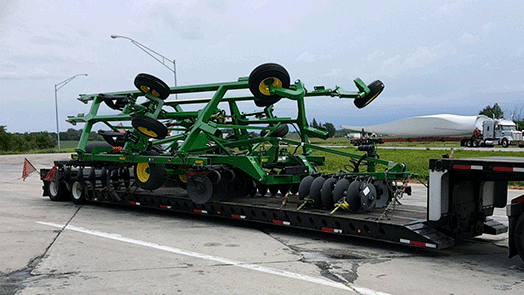 If several parts of irrigation equipment fit on one trailer, you’ll save money. Another option if you have just one part to ship: Shipping an irrigation pump, valve or filter aboard a hotshot trailer. Hotshot trailers are lightweight trailers, similar to step-deck trailers, that are pulled by pickup trucks. 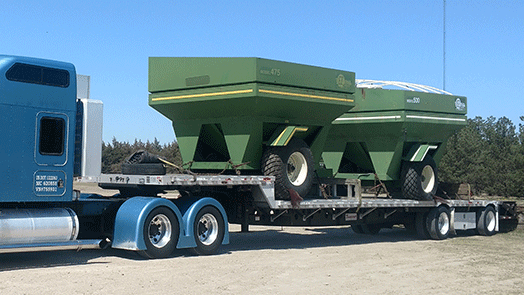 Smaller parts of irrigation equipment fit perfectly on a hotshot trailer.